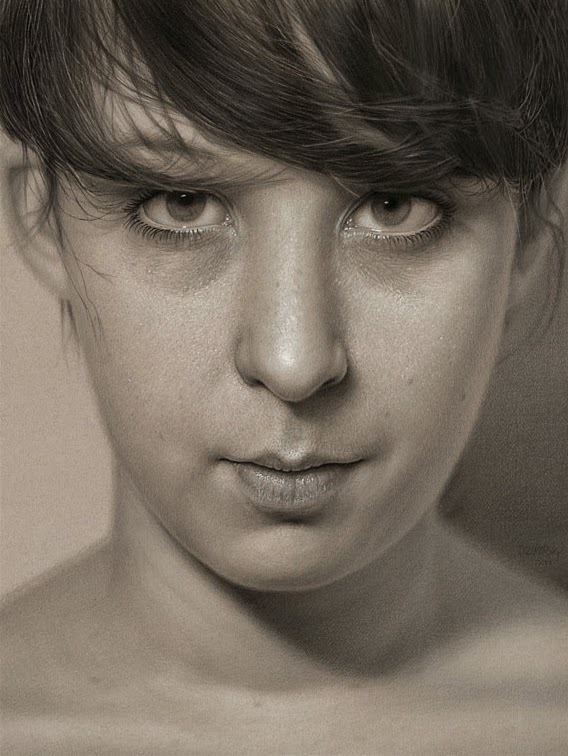 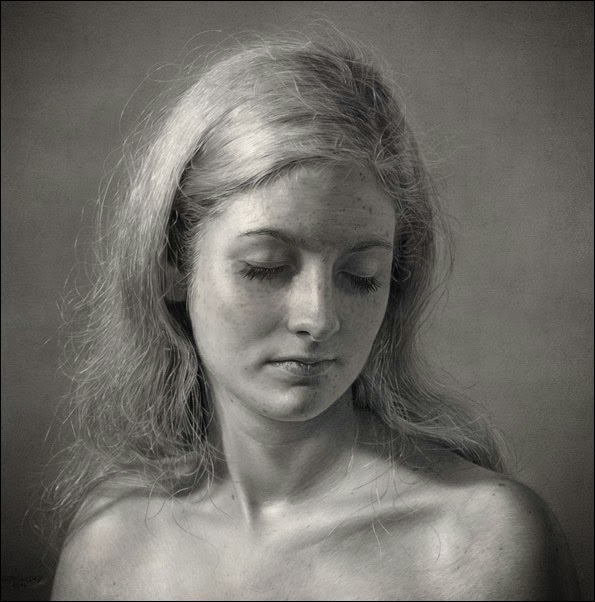 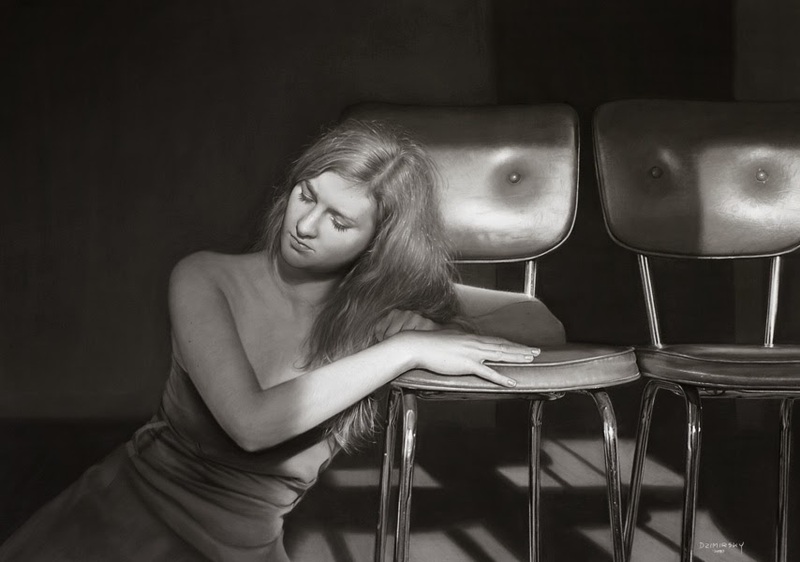 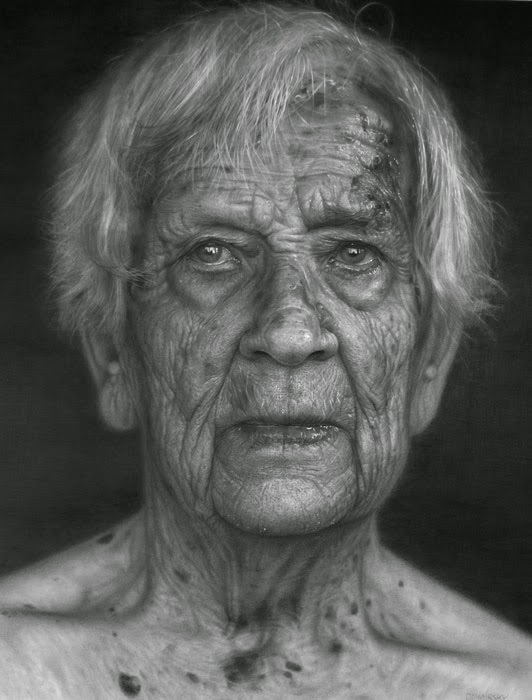 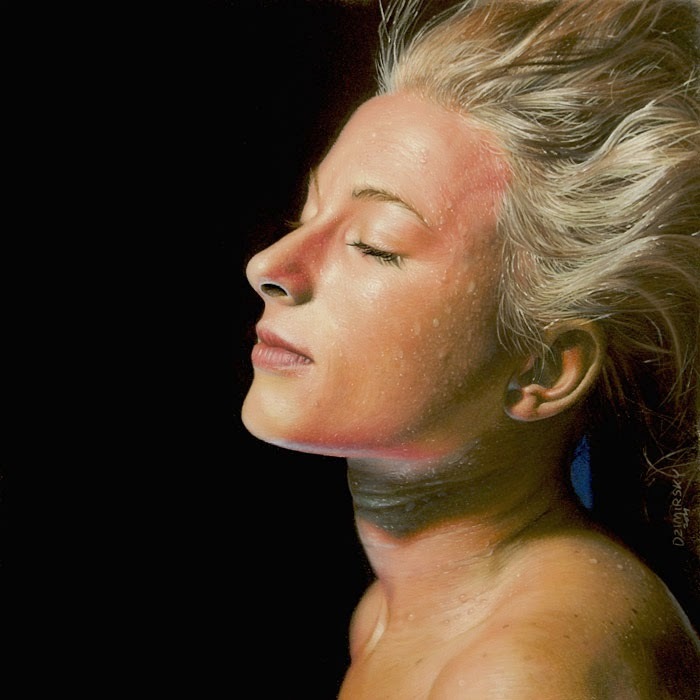 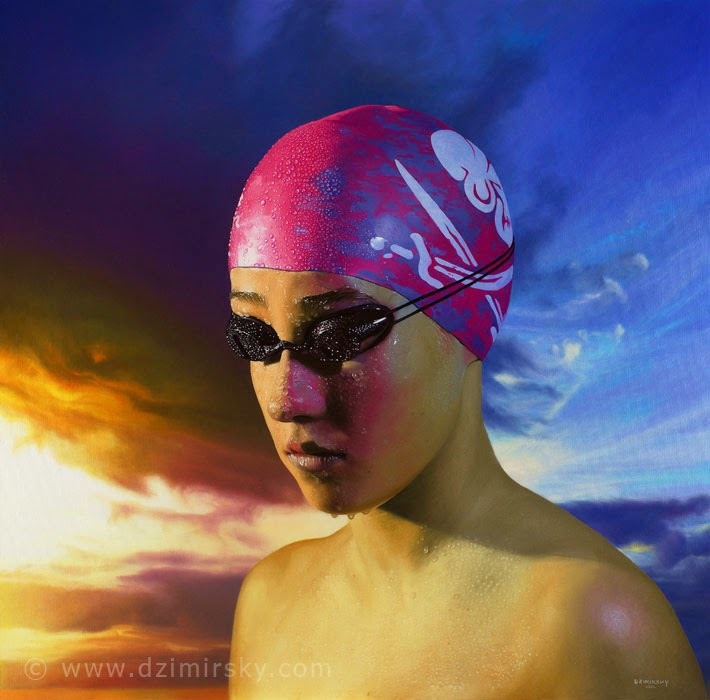 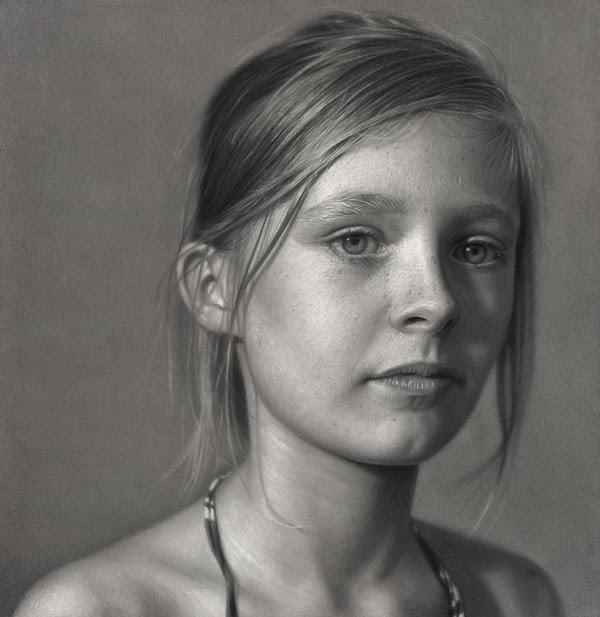 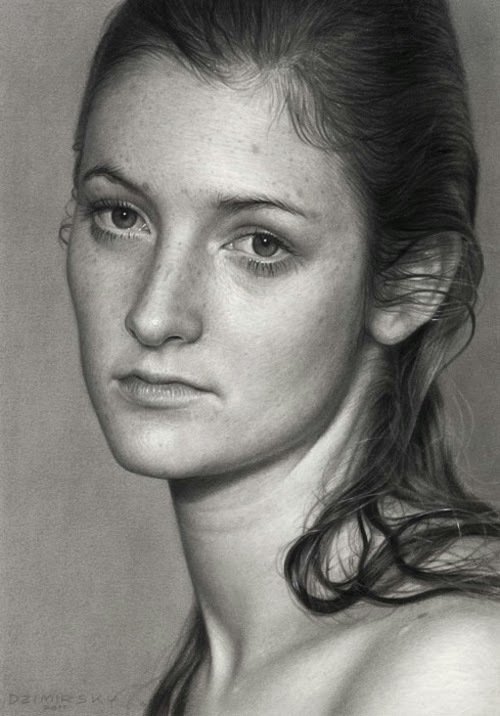 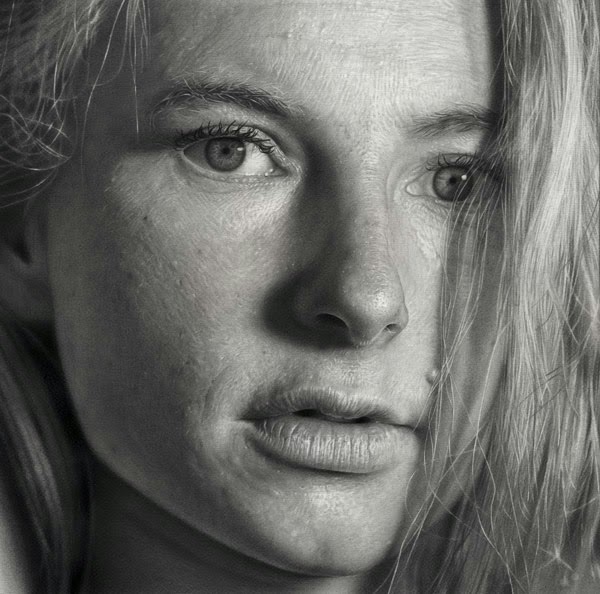 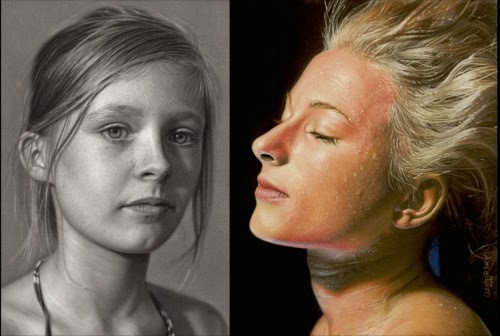 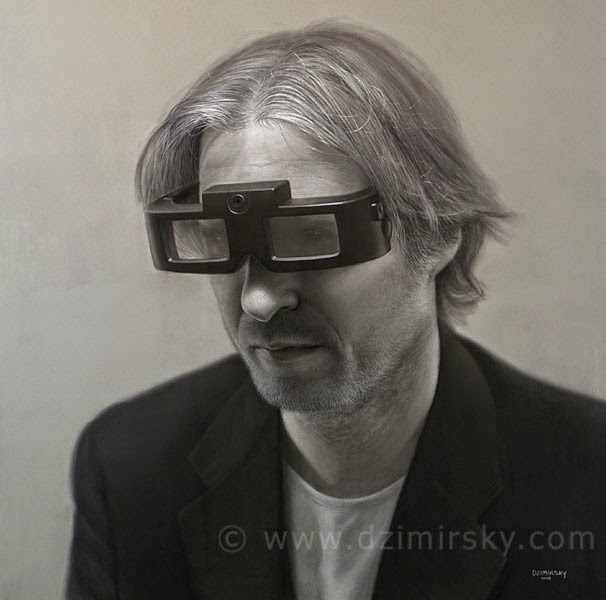 German Artist Dirk Dzimirsky is as capable with a paintbrush, as he is with a pencil. 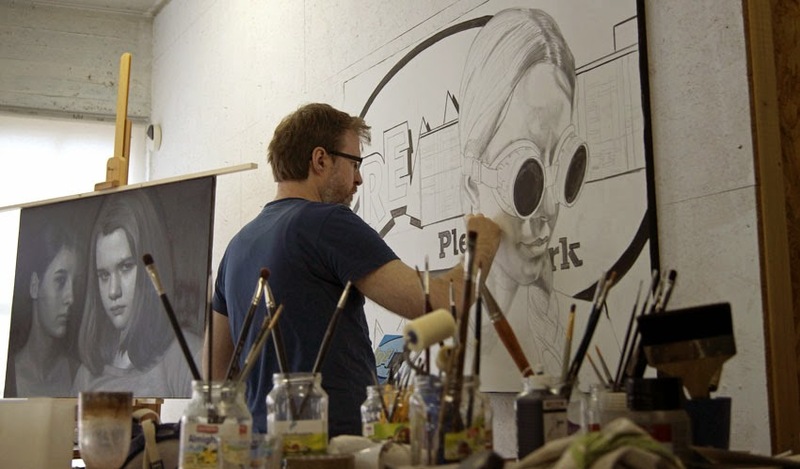 Between the two he says, he prefers the pencil, as it allows him to use more complex layering and to add more form to the drawings. 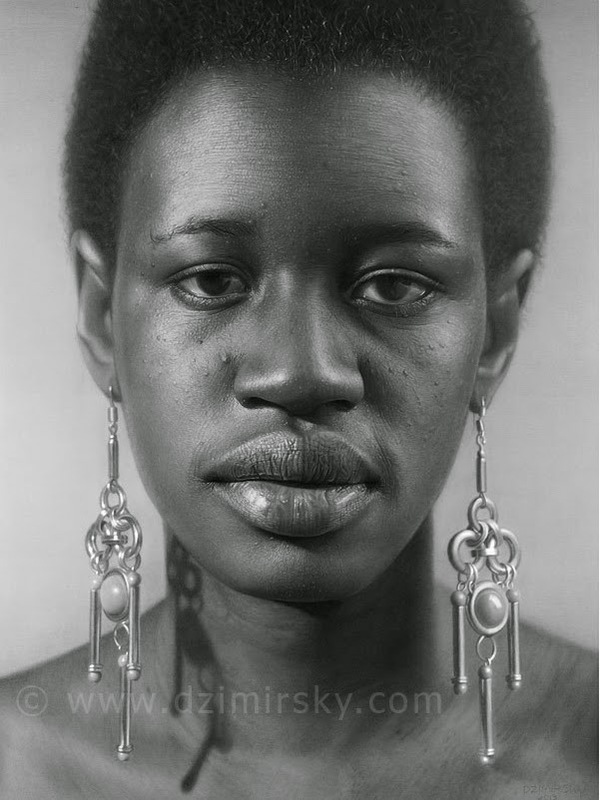 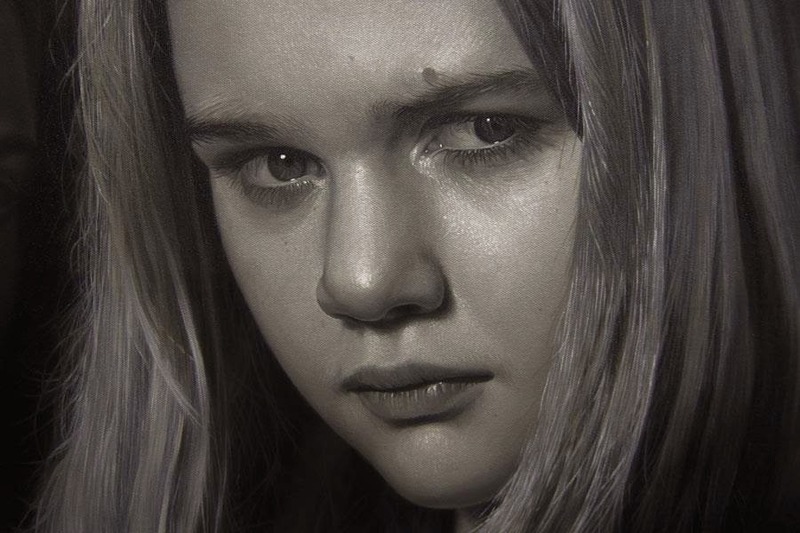 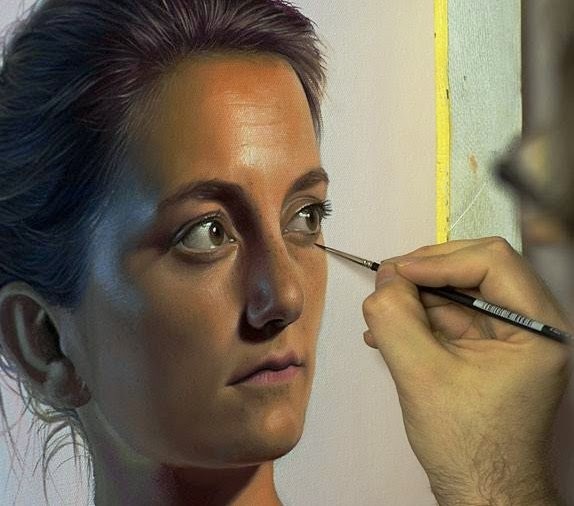 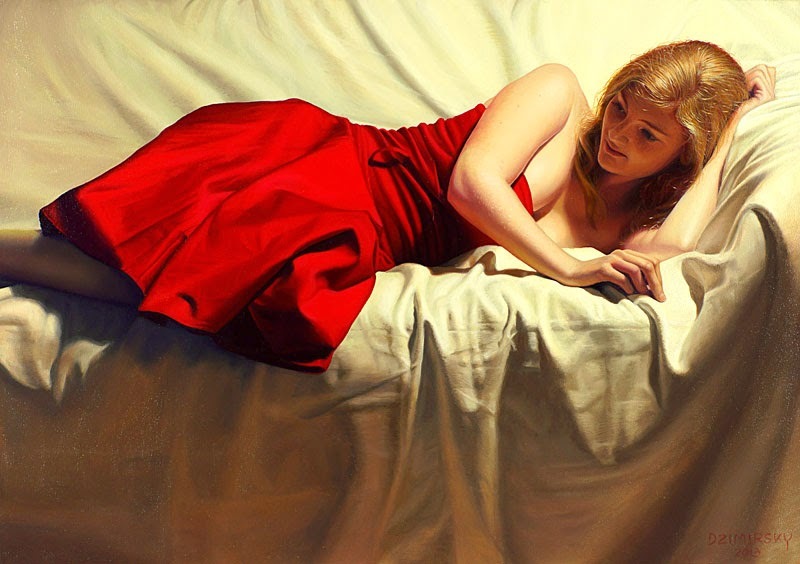 Dzimirsky uses a photograph as a reference, once he has sketched the outlines and has all the proportions in place, he does not want to make a like for like copy of it, he wants his painting and drawings to be able to be read like the description from a writer. 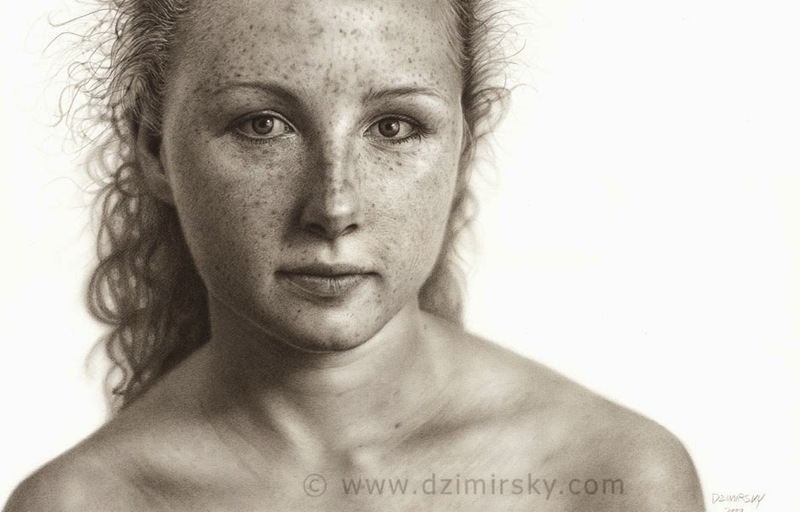 Dzimirsky's approach to drawing and painting can be seen by the choice of his models, who have, deep and expressive looks, that portrays perfectly on canvas and paper.